The Great Recession had led to gender convergence in unemployment rates. In this paper we seek its sources to assess whether this convergence will remain once the Great Recession ends. We use Social Security records to study the determinants of unemployment ins and outs for men and women separately, over the course of a whole business cycle, i.e. 2000–2013. 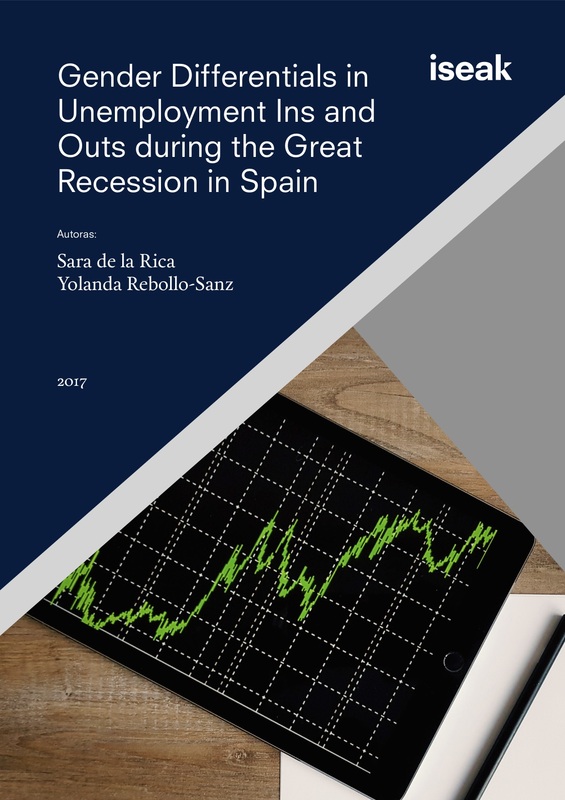 We focus on Spain—a country hit hard by unemployment increases in downturns. We find that unemployment outs are crucial in understanding changes in unemployment rates in Spain as well as to understand the gender convergence in unemployment rates. Among the determinants of the large drop in unemployment outs, lack of demand and negative state dependence emerge as key sources, which affect men more negatively than women. In a scenario of upcoming recovery, unemployment outs will increase for short-term unemployed, particularly for males. On the contrary, both male and female long-term unemployed workers will face enormous difficulties to access a job, as the job access rates for long-term unemployed is not sensitive to the economic cycle. Hence, we expect that the gender convergence in unemployment rates will persist only when considering the long-term unemployed.